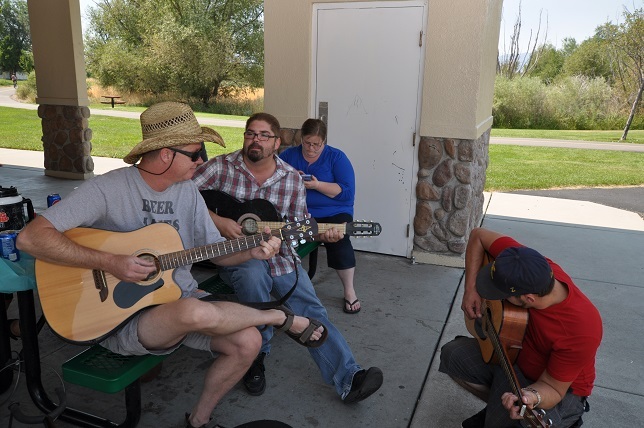 Summer BBQ fun in the sun with Coller Industries! We care about all of our customers. And part of that caring means that we give back to our local community and to all of our customers. It also means that we are constantly returning benefits to the employees and making work fun. So, every year Coller Industries throws a summer BBQ bash that includes lunch, games and wonderful conversations! People are still talking about how wonderful the catering was this year! 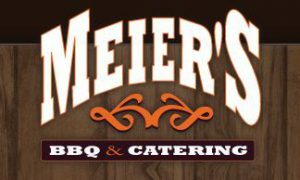 Hats off to Meier’s BBQ & Catering for our fabulous meal which included: fresh fruit (melons, grapes, kiwi, strawberries and pineapple), macaroni shrimp salad, potato salad, baked beans, orange glazed rolls, brownies and not to forget the boneless ribs and barbecue chicken! We had a bounce house for the kids. 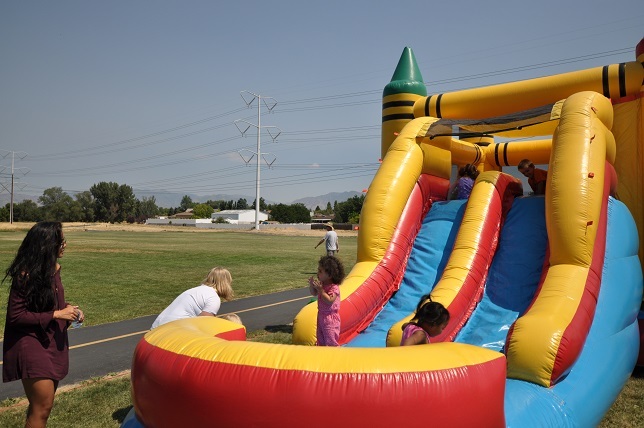 Another treat this year was goody bags for all of the kids that came. There was a whistle, a bottle of scented bubbles, a beaded necklace, a light-up yo-yo, and some candy. Most of the kids were blowing bubbles and playing with their new toys. 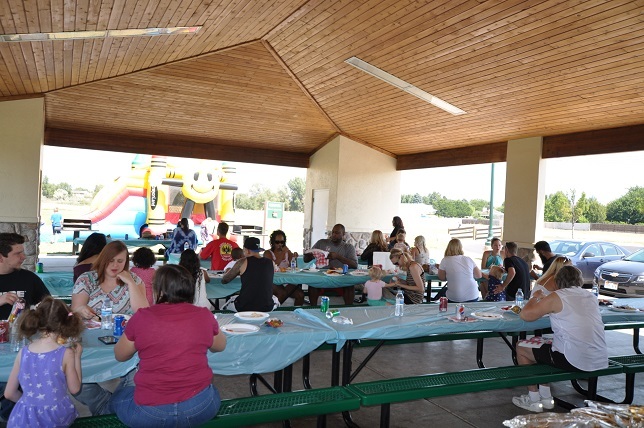 As employees, we would like to give a special thank you to Coller Industries and especially the Coller family for providing such a wonderful activity for their employees. And here’s how we say that thank you! Joey (Customer Service): I think it’s awesome the company does things like this. I want (the Coller’s) to know I do appreciate what they do for us. It was a good time. Audra (Purchasing Agent): I usually go every year! (It’s always) good food, good people and fun for the kids. Rod (Programmer): I went this year to enjoy good food with friends and co-workers. I enjoy their company outside of work. It is nice to meet with them and their families in a casual setting. It always nice to talk with the Coller’s about other things besides work. I saw the children having a lot of fun with the bounce house and the gift bags they were given. Slim (Quality Control): There was a much larger turn out this year. We had lots of fun. 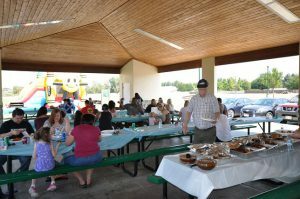 There were more people than I have seen come to any of the summer parties in the past. I always enjoy them, so I always go. 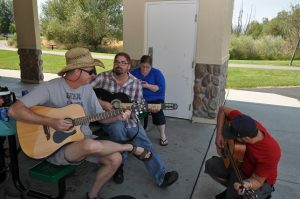 And, I almost always bring my guitar!